​​Are you passionate about dogs but can’t commit to the financial or time responsibilities of owning one? Do you miss the companionship of having a dog around the home? If this is you and you spend no longer than a couple of hours a day away from the home, then we would love to hear from you. Our hosts are extraordinary people and undergo an in-depth interview to ensure our client’s dogs are in the right hands. To meet the criteria of becoming a host can you commit to the following? Not be expecting the role to be a main source of income. Caring for our client’s furry friend can be a very rewarding and fun time. 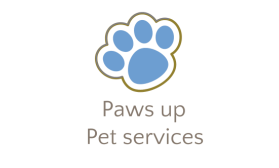 At Paws up pet services, we want you to enjoy your foster dog's stay as much as they do so we are on hand 24/7 with any questions you may have or support you may require. We will check in with you regularly to ensure everything is going as planned. If you’re concerned about being insured while the animal is in your care, don’t be! We’ve got all that covered so that you can relax and enjoy your time spent with your visitor. You will receive a monetary daily allowance, but we must stress that we are only looking for genuine dog lovers who can offer time and devotion to our clients dogs.